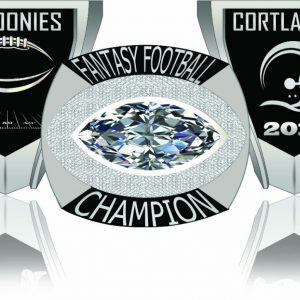 We are fantasy sports enthusiasts just like you. We realized that all the hard work that goes into a season long title deserves an epic customized ring. 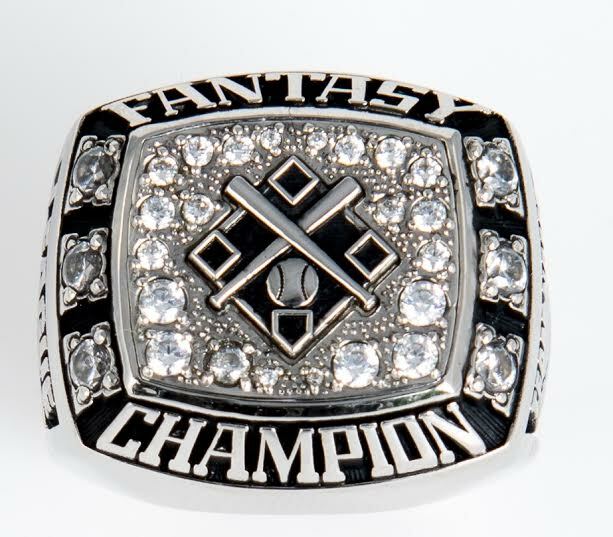 Official Fantasy Ring should be the grand prize in your league. Trophies are ok but can you walk around with one of those? Wrestling belts are great if you just won a steel cage match. Imagine wearing one of those at your local hangout? The OFR rings are the same quality as the traditional Super Bowl rings. 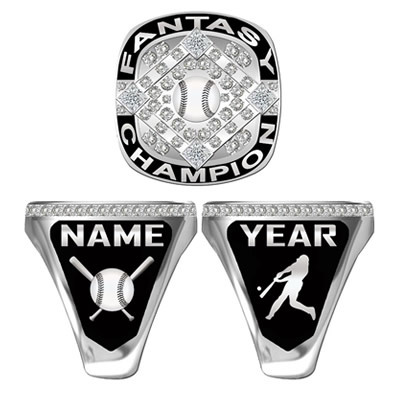 Official fantasy rings is for the fantasy champion who wants to commemorate the hard fought title. The last team standing needed something beyond the small pot of money and a plastic trophy. We created something bold, customizable and mobile in the spirit of Super Bowl and World Series rings. 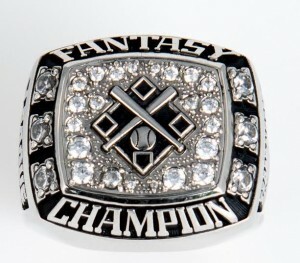 The Official Fantasy Ring was developed and the response has been overwhelming. All rings are made of ultrium, a high quality stainless steel alloy that will not tarnish. It has a beautiful silver finish and can be resized. All of the stones are imitation birthstones and CZs. For the serious leagues, OFR rings are available in white or yellow gold with genuine gemstones and diamonds. Please email for price quotes. Due to the customization, rings can take approx 6 weeks to be delivered.